This year marks Chiltern Relocation’s 10th year in business and we wanted to take this opportunity to rebrand and design a fresh new website to convey how we, as a company, had evolved over the past decade. To celebrate we created a fun competition to name the number of Free Area Guides available on our new website for Buckinghamshire. The answer was indeed 12 and we were delighted to have over a hatful of entries! The lucky winner to be pulled from the hat was Chrissie Jenkins from Country Life Insurance Brokers. 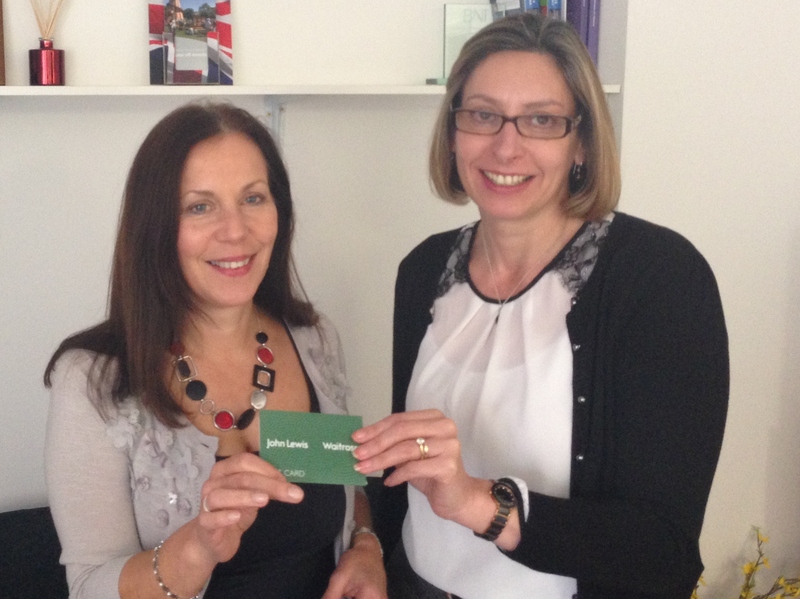 Sharon handed over the prize of £100 in John Lewis vouchers to Chrissie at her offices in Chorleywood on Monday 27th April.